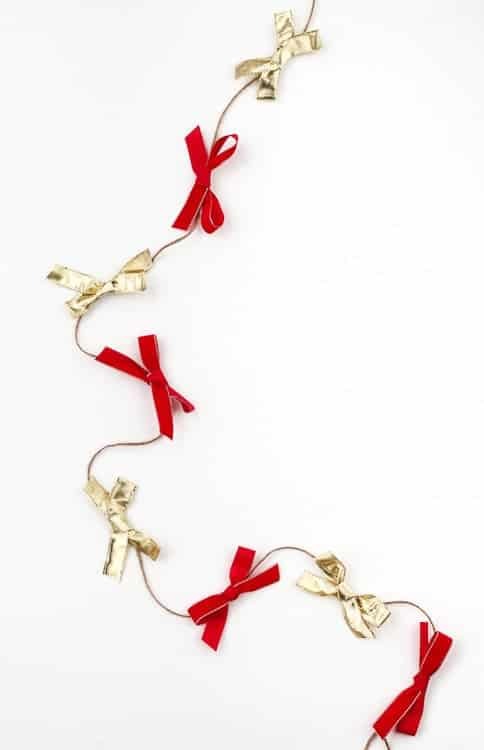 Ever notice how expensive holiday garlands can be to buy? Me too. 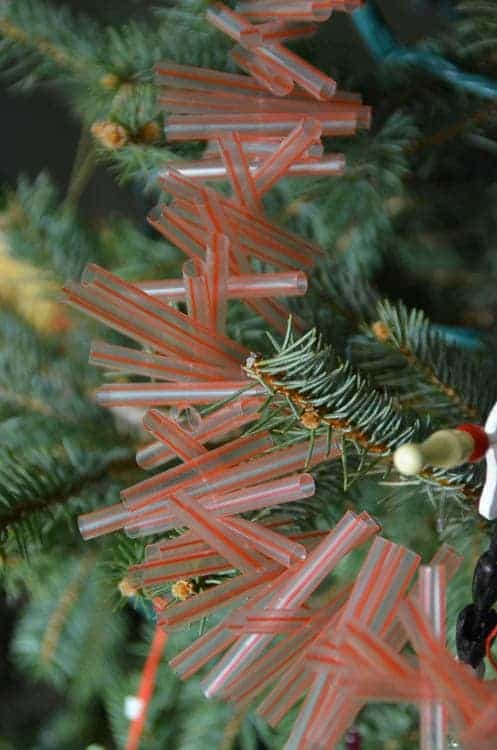 In my “BB” life (before blogging) how many fantastic, and often LESS EXPENSIVE garlands could be DIY’d! And honestly, most of the DIY garlands I’ve come across have been WAY more creative than the kinds you could spend 2 weeks of your salary on. 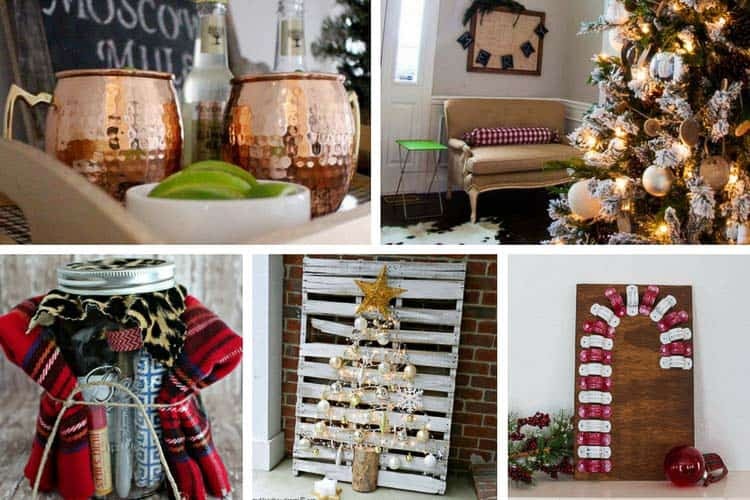 So today, I’m sharing 20 lovely DIY garlands. Pick one and try it this season. I know I will be! My daughter grabbed her little safety scissors one day, and walked behind our house one day in her cute little rain boots. She came back with a handful of fresh pine sprigs and sat quietly on the floor tying together this gorgeous seasonal garland. Only took her minutes, and now it’s an annual event. 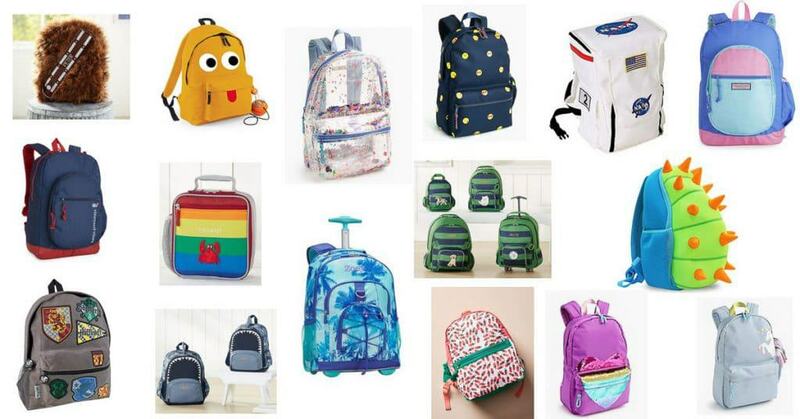 Everything Charlotte at Ciburbanity does is COLORFUL. 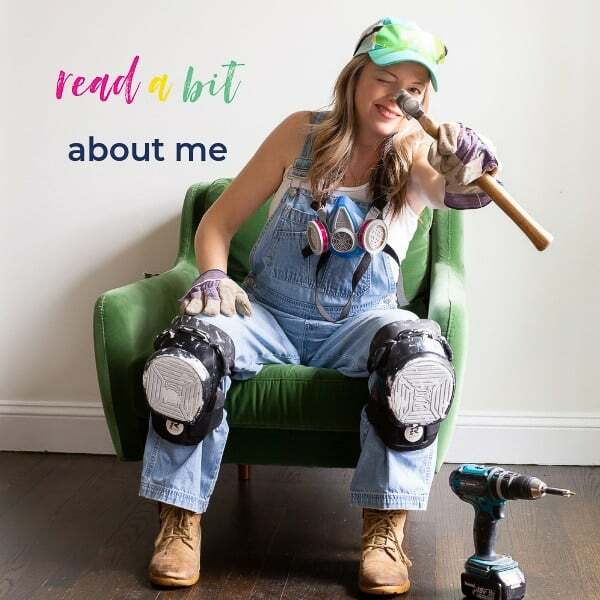 And that’s one of my favorite things about her and her projects. 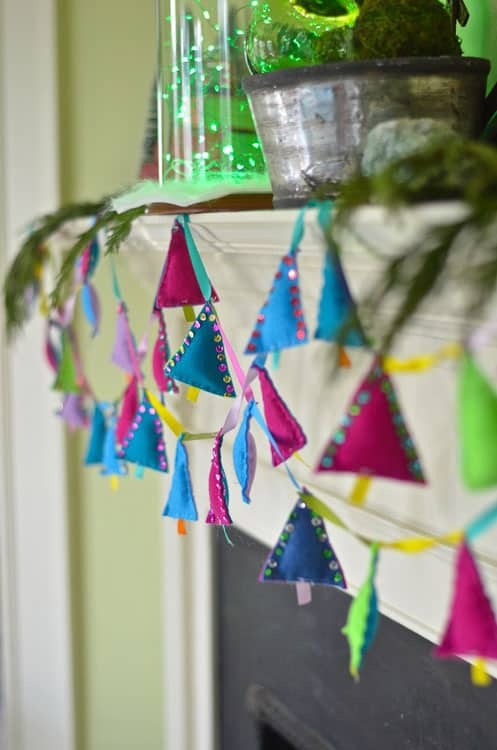 This adorable garland is right in line with her typical use of color. 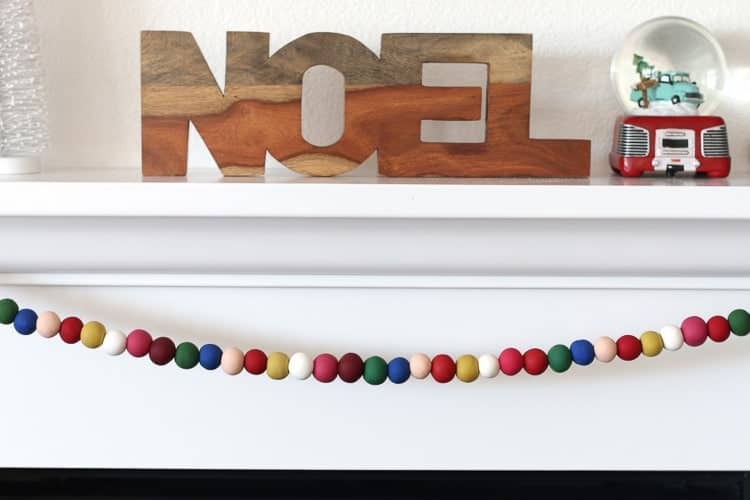 And what could be better in a house with 5 kiddos than some colorful holiday garland? 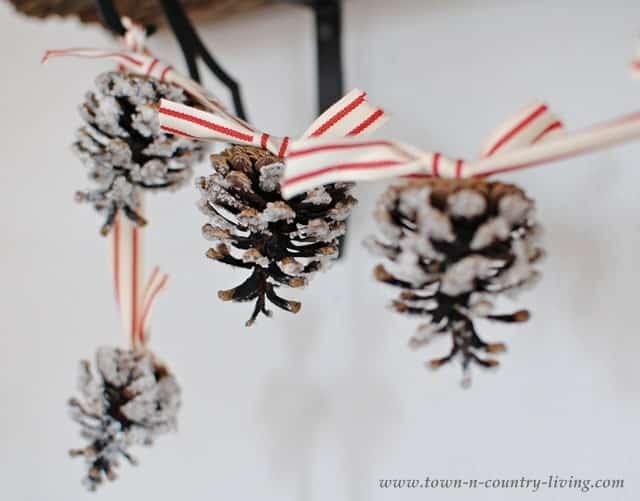 Can you believe how HUGE these pinecones are that Lovely Indeed used for this DIY garland?! Amazing! 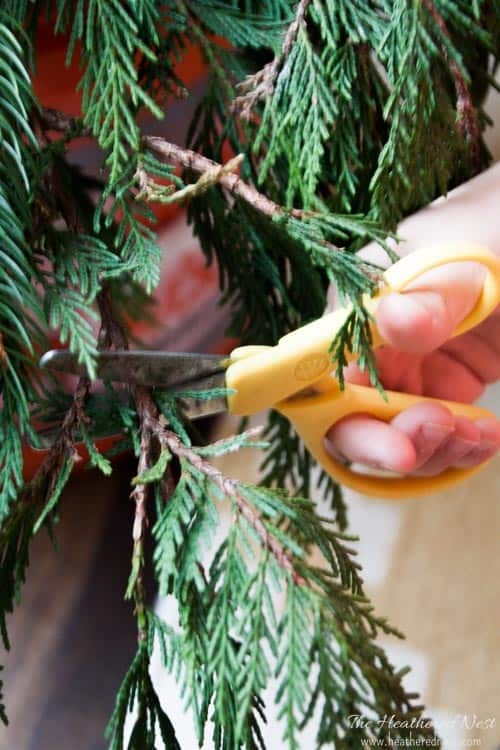 So was her use of eyehook screws in the pinecones to help string the garland. 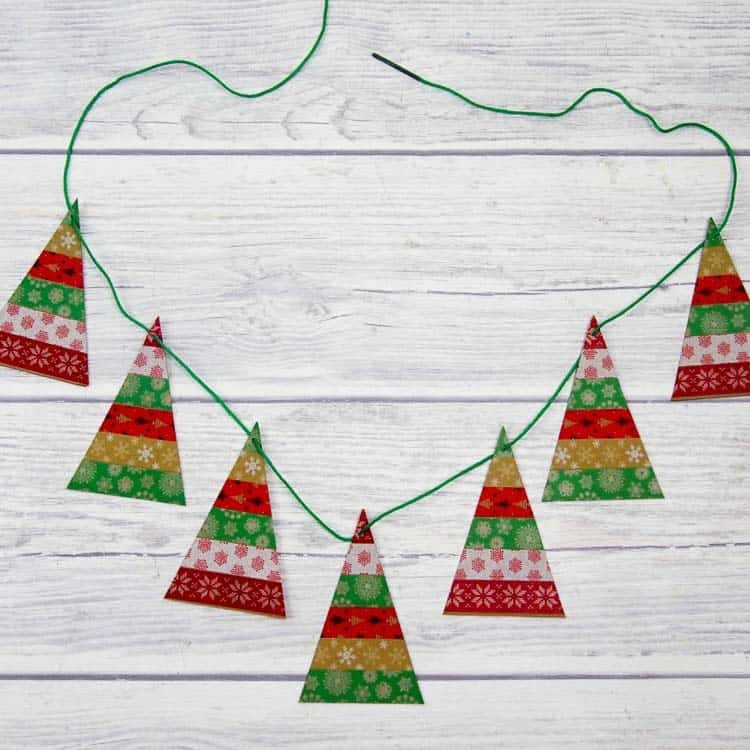 I don’t think I would have ever thought to run something through my sewing machine in order to make a quicker, easier garland! Brilliant move. 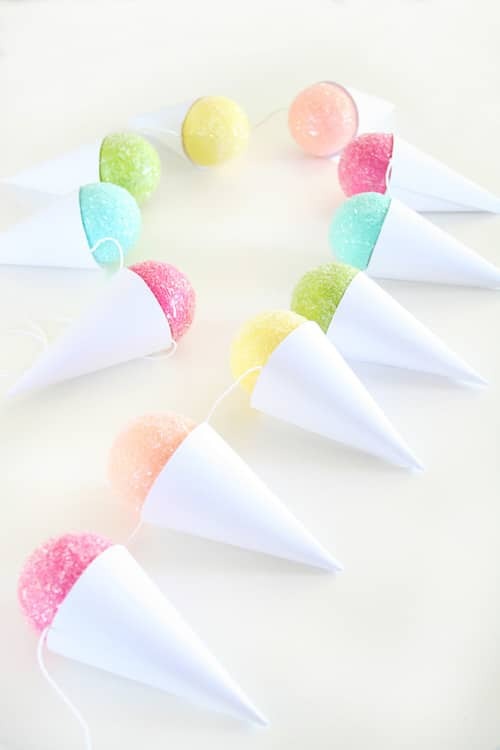 Aside from making me hungry, I love everything about this DIY garland from thecraftedsparrow.com. Isn’t it the sweetest?! 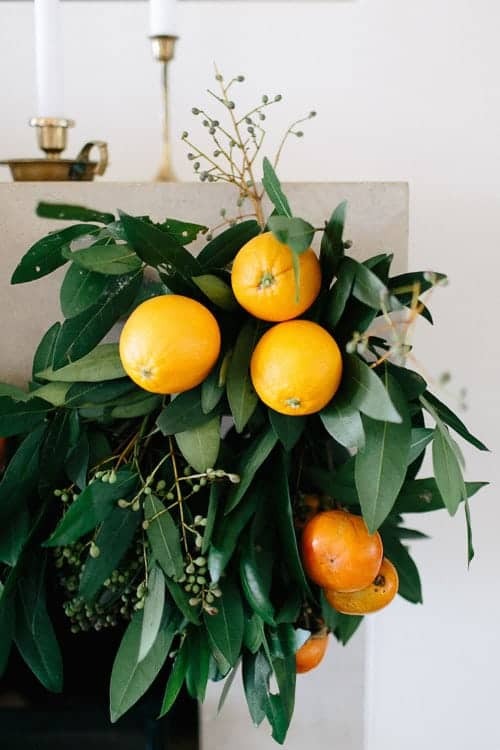 I can smell how lovely this garland must be just from reading the tutorial at CamilleStyles.com. 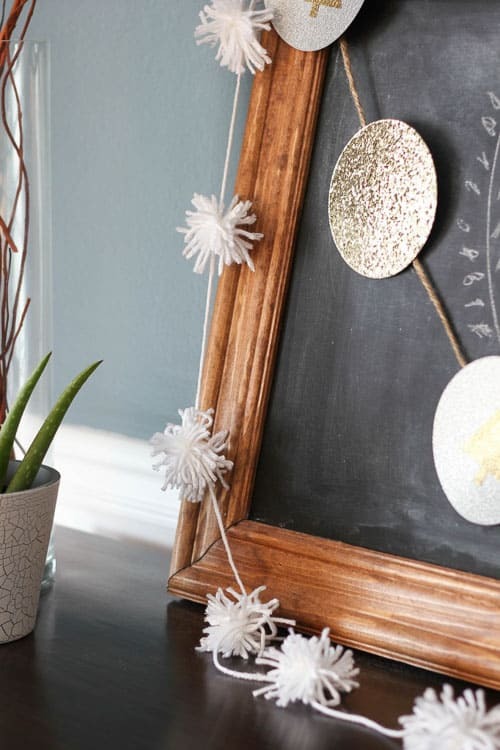 This is one of the most sophisticated, gorgeous DIY holiday garlands I’ve seen. 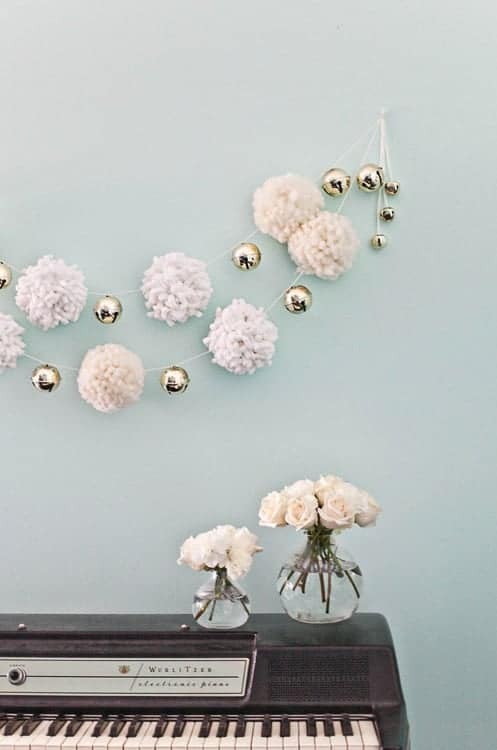 You HAVE to see how Erin makes these little pom-poms for this garland! Hint: It reminds me of how I look when I’m taking down a big ol bowl of spaghetti. Confession: I have NO idea how to crochet. 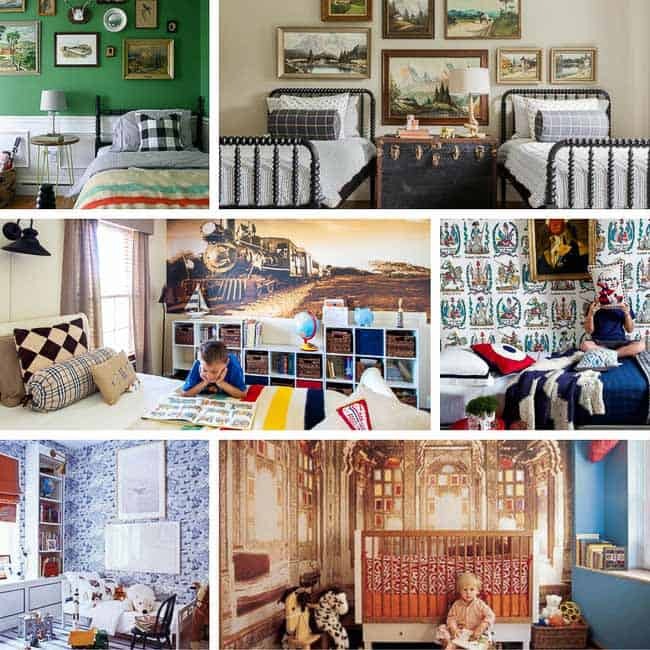 But if I did, this is such a sweet project that I would probably give it a go! Isn’t it great? 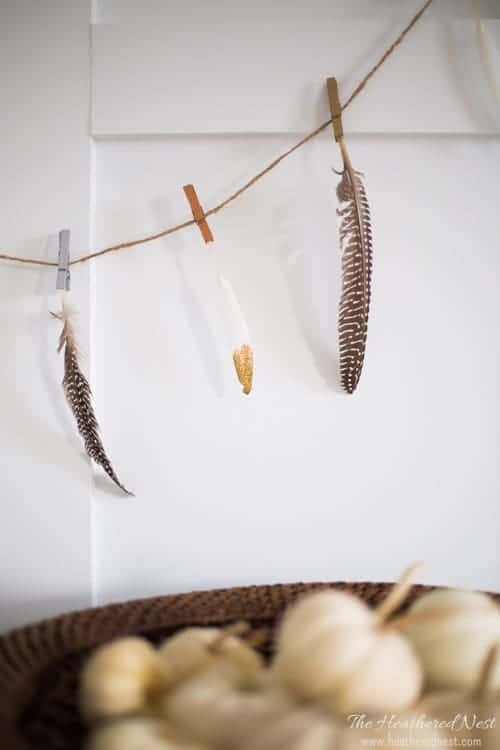 Pine cone garlands are very popular. 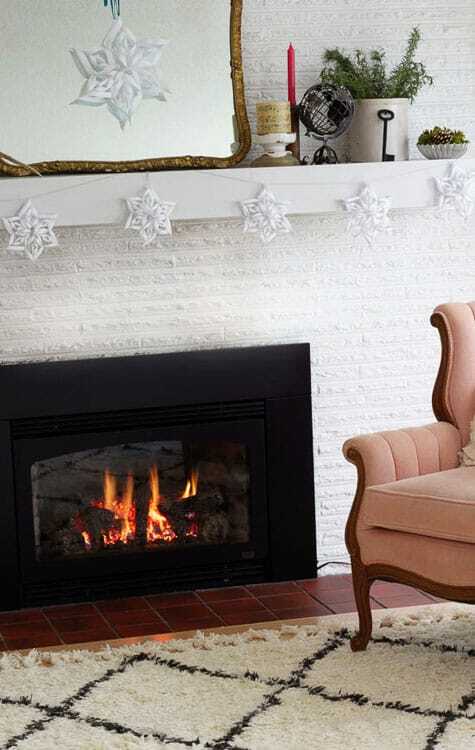 I happen to love this one from Jennifer and Town and Country Living because of the simple touches she used with the snow (which I thought was glitter…it’s NOT. Never would have thought to use what she did!) and the ribbon she chose is perfect! I have a serious thing for pom poms. 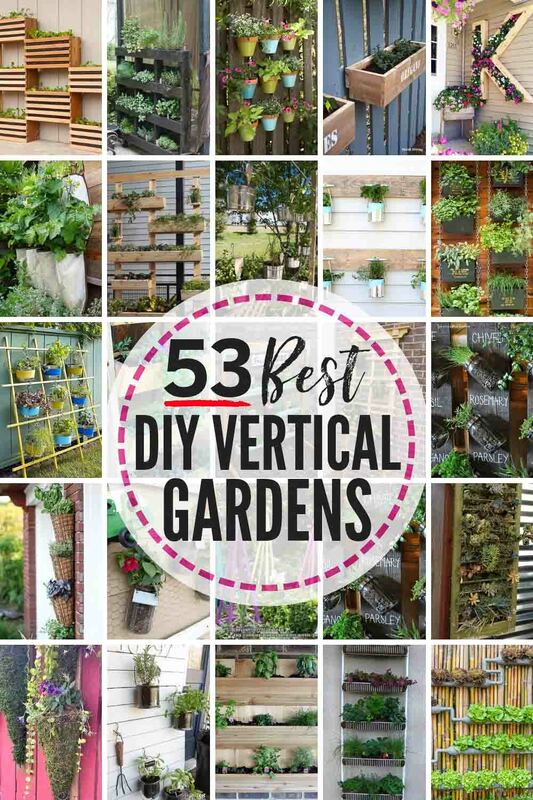 Now, I’ve personally NEVER DIY’d any yet, but every time I see them, I am super temped. 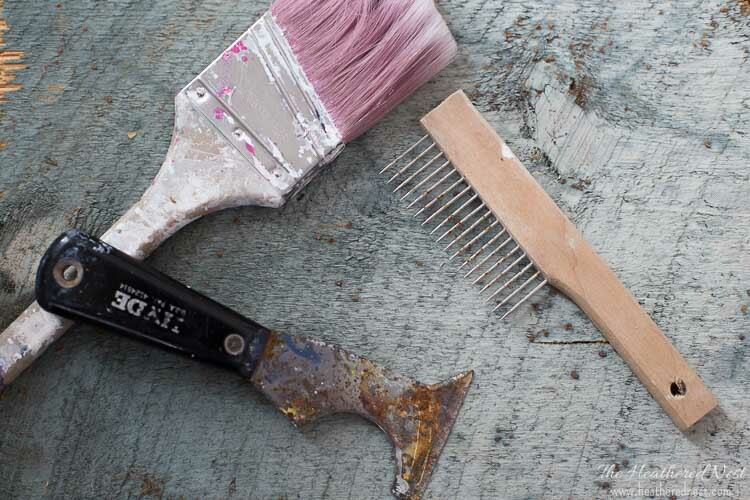 If you’ve tried them…drop me a line and let me know if it’s a task worth tackling. I love wood slice crafts because they are both easy, and the natural element they bring into a space really makes it come alive. 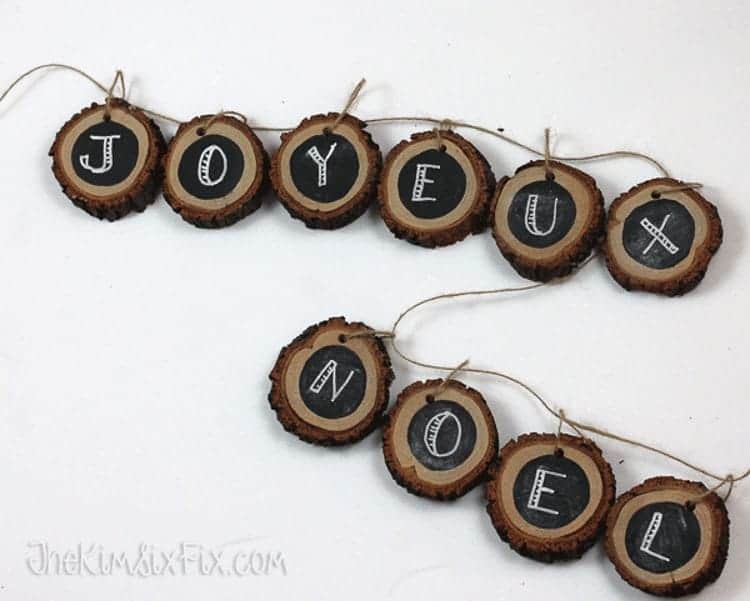 Kim used chalkboard paint on this garland, wisely, so she can customize it for any season. Smart. And cute. 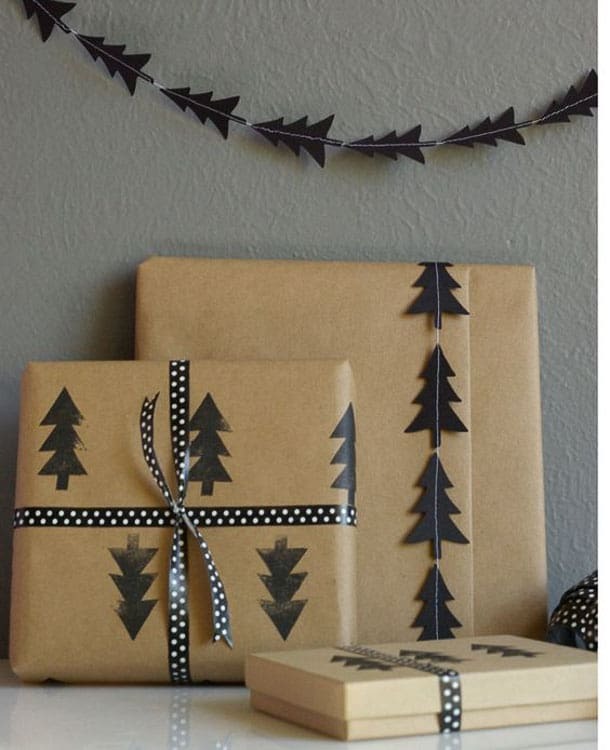 I’m no oragami expert, but athomeinlove.com spells out exactly how to make these gorgeous paper snowflakes and string them into a beautiful garland. 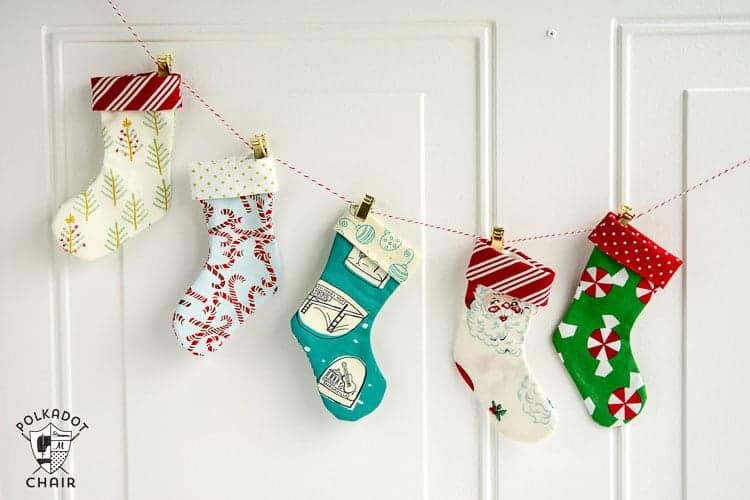 These are itsy bitsy stockings strung together to make a colorful garland. HANDMADE stockings. The perfect size for a gift card. Could it be any cuter?! I had no idea that bleaching pinecones was a thing. Or even that it was possible. But it is! 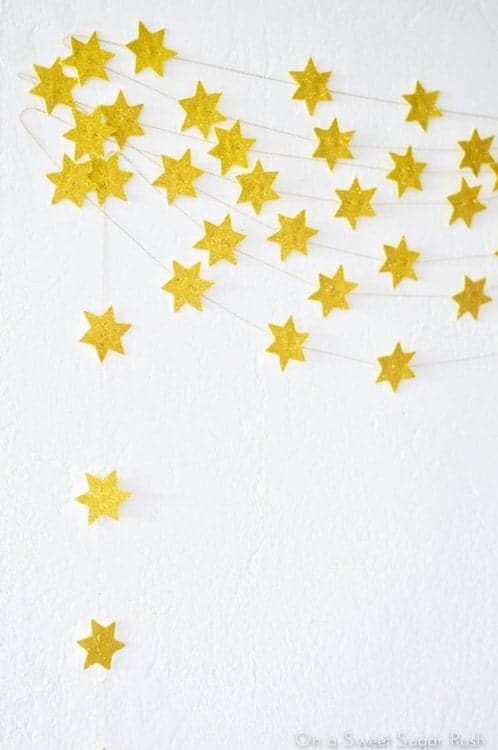 And this beautiful DIY garland is the product! Yes. Charlotte made garland from drinking straws. Who would have thunk it? 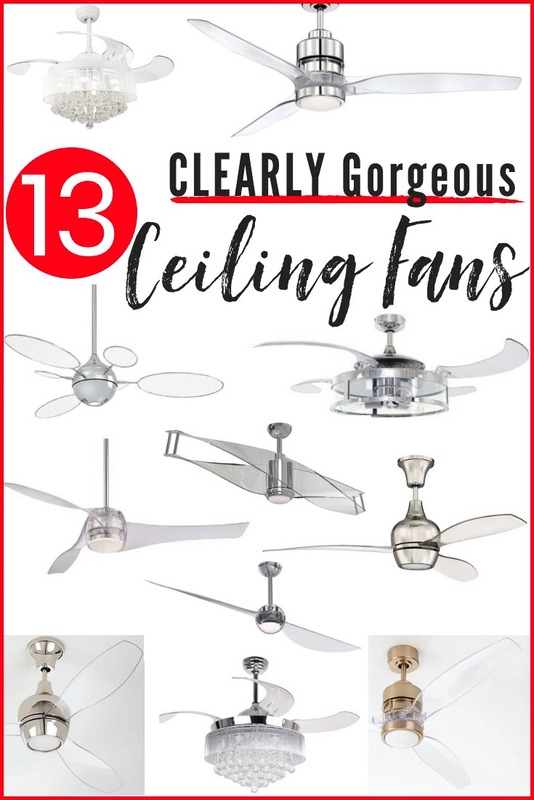 Talk about frugal and unique and adorable! Love it! SO. FLIPPING. CUTE! I gotta get on this Washi tape bandwagon. And this DIY garland from Jen has taken me over the edge. 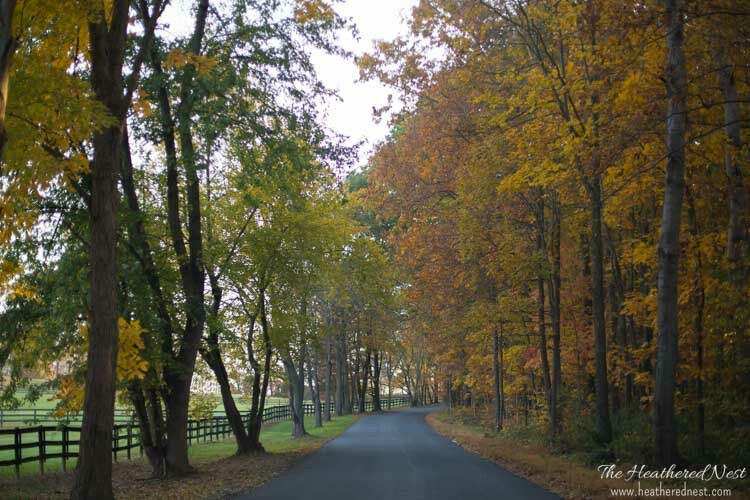 This one definitely falls into the simple category…my FAVORITE kind of craft. 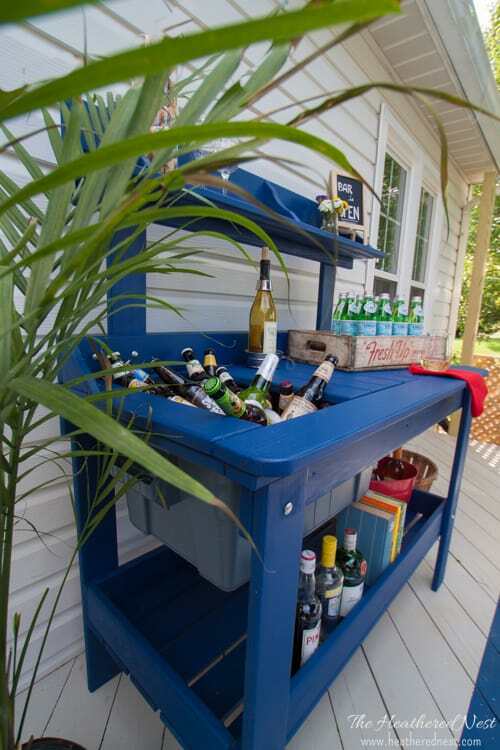 And you could do this in ANY color combo you’d like! Great, easy idea! Lindsay from DelightedMomma.com tried this project first by making felt balls…her description of that process is hilarious. And I’ll just say, she ended up choosing this polymer clay route instead. This is another medium I’ve never worked with, but I love the result, don’t you?! Made with a cookie cutter and Xacto blade. So smart…and sparkly! 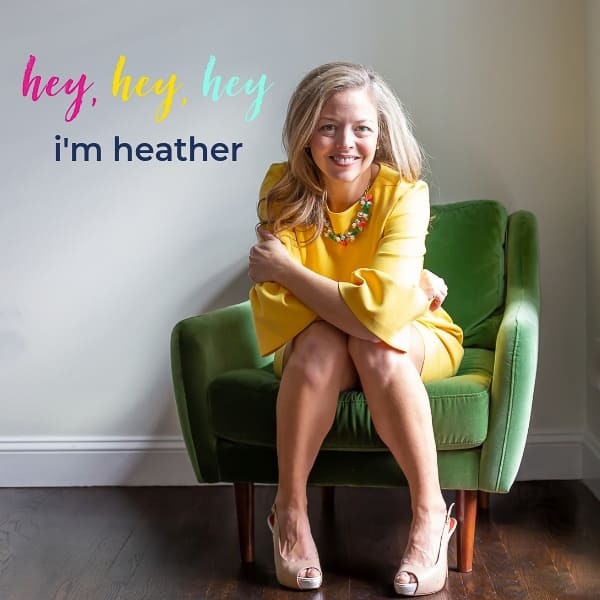 Pssst…before you go, I sure would love to hang out with you again really, really soon!! Become an insider and get first access to all that’s new here at the nest. Just click the image below to become an insider now! 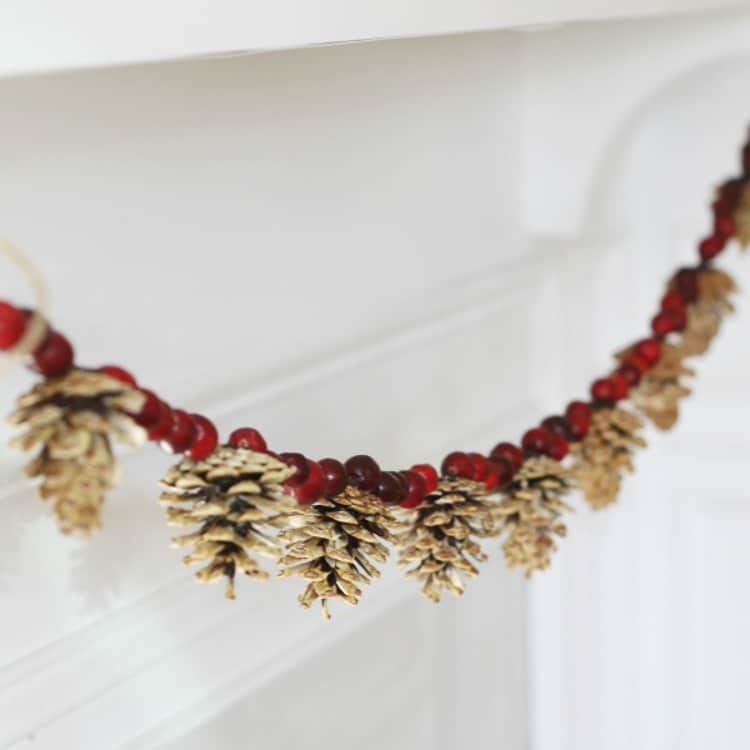 Thanks for including my pine cone garland in such a great roundup of garlands! And do try the pom poms. 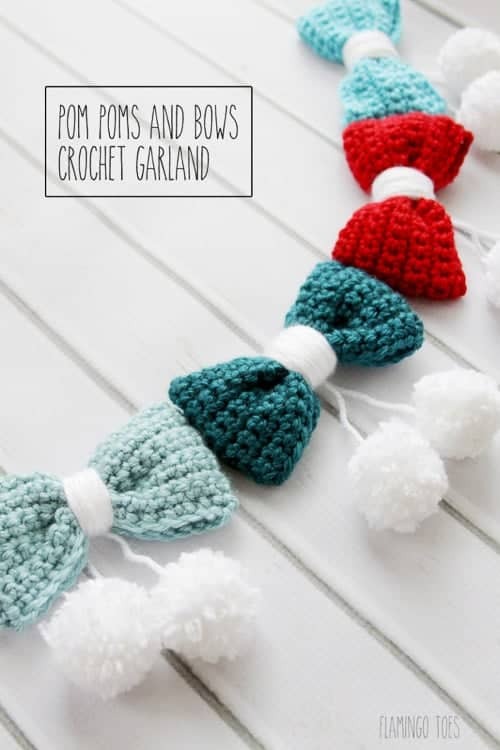 I made a pom pom garland not so long ago. It was easy to do!